Reflecting on my BKF Fellowship, one thing I cherish is the reciprocity of the relationships between Mentors and Fellows—I certainly learned so much from Sandra, but she is also adamant that she learned just as much from me as I her. Sandra has been an incredible source of ongoing support for me. When I made the choice to return to my home town in Mississippi to see if I could make a difference for young girls of color there, Sandra continued to support my work with foster youth and my decision to return to graduate school, even though I knew she was concerned about this path. It has meant so much to me to have access to the wisdom of an experienced woman of color leader like Sandra as I have faced difficult choices and the challenges of founding my own nonprofit, the Girls Policy Institute. 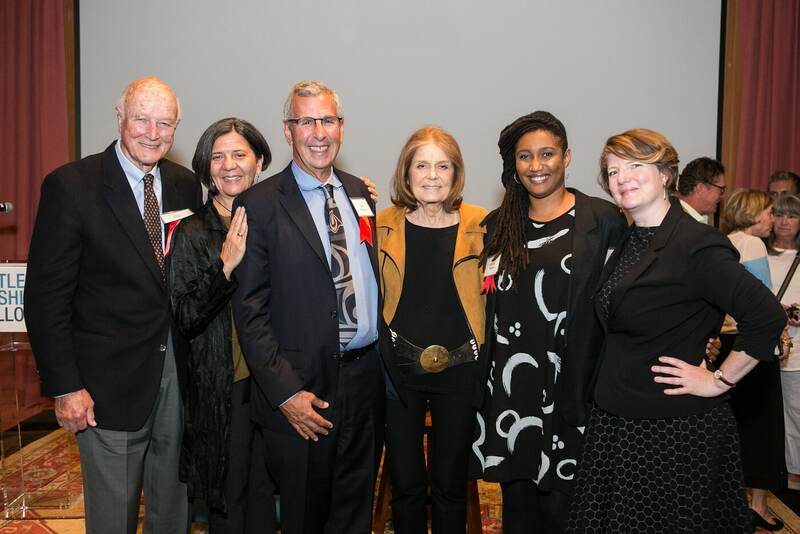 I am grateful for this and for the opportunity to reflect together on our mentorship experience with other mentor-mentees, Gloria Steinem and Amy Richards, at BKF’s WHO’S YOUR MENTOR? event. These iconic women have worked together for over 25 years and continue to have a tremendous impact on women’s lives. When asked about what makes their mentorship so special, Gloria spoke about how Amy came into her life as a student and the importance of intergenerational relationships to feminism and feminist work. She discussed the need to break down relational and hierarchal barriers so that people know they can ask her for help. She encouraged reciprocal models of mentorships as a feminist praxis. Gloria’s words were a testament to the role mentorship plays in feminism. While her quote at the beginning of this post was about grassroots organizing, I believe that it is applicable to mentorship. How we mentor is a feminist act and movement that with implications beyond ourselves. Fortunately, when I left San Francisco, Sandra did not quit our mentoring relationship. Our relationship deepened and evolved. For her, it was a movement she could not be fired from and I can certainly say the same for myself as I know I will continue to grow from all that I have learned from her. During the WHO’S YOUR MENTOR? program, Amy and her mentor Gloria were both very generous with their time and insights. Here are a few clips from the program, including one of Amy asking Gloria to share some stories about two of her great mentors, civil rights activists: Bella Azbug and Florynce “Flo” Kennedy. previous post: Continuing the Search for Beauty….